Advances in technology have made products like cell phones, computers, medical devices, and other electronic products much smaller in size than in the past. The goal of this relentless drive toward miniaturization is to reduce weight and mass which in turn leads to greater efficiencies and lower costs. 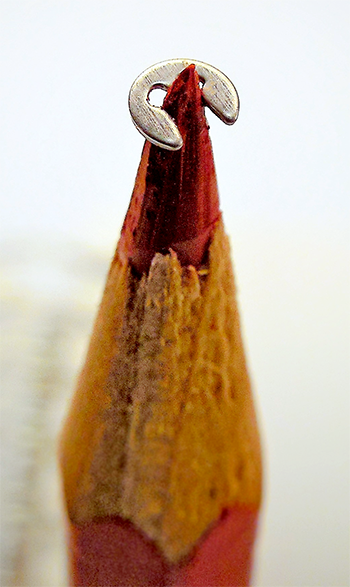 How small is small? Researchers in the medical field have come up with a term for it: “electroceuticals.” These tiny devices can work within the body to monitor the concentration of drugs and adjust it accordingly, or to recharge a tiny pacemaker by holding a credit-card-sized power transmitter up to the chest. Automobile engines have become increasingly smaller, yet are still able to deliver the power of their larger, gas guzzling predecessors. Chargers for cell phones are as small as 4 inches by 2 ½ inches, yet still get the job done. Rotor Clip accommodates this trend by manufacturing retaining rings and wave springs in small sizes to accommodate compact spaces in a variety of industrial and electronic products. This range of smaller sizes extends throughout our entire product line so that you can be sure to find the right type of retaining ring (tapered, constant section or spiral) or wave spring to meet your size reduction requirements. For more information, contact our technical sales engineers at tech@rotorclip.com. 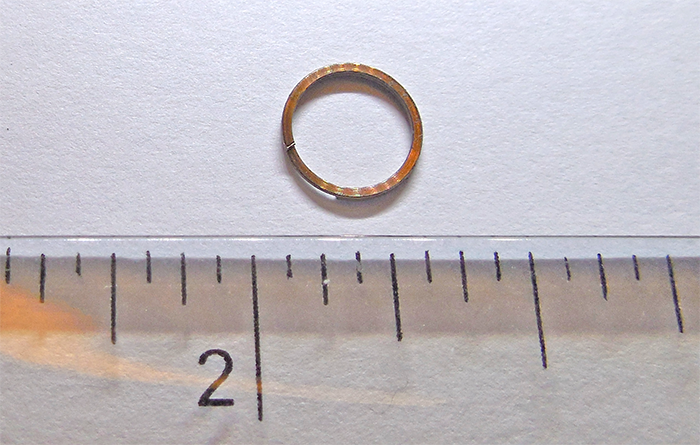 At a mere 1mm in diameter this “E” type tapered retaining ring is used on a number of electronic and computer-controlled instrumentation. Small wave springs are becoming the spring of choice for reducing the overall size of assemblies in a variety of medical devices. Rotor Clip is working to produce these parts at a diameter of 2.5mm, the lowest of any manufacturer in the industry. 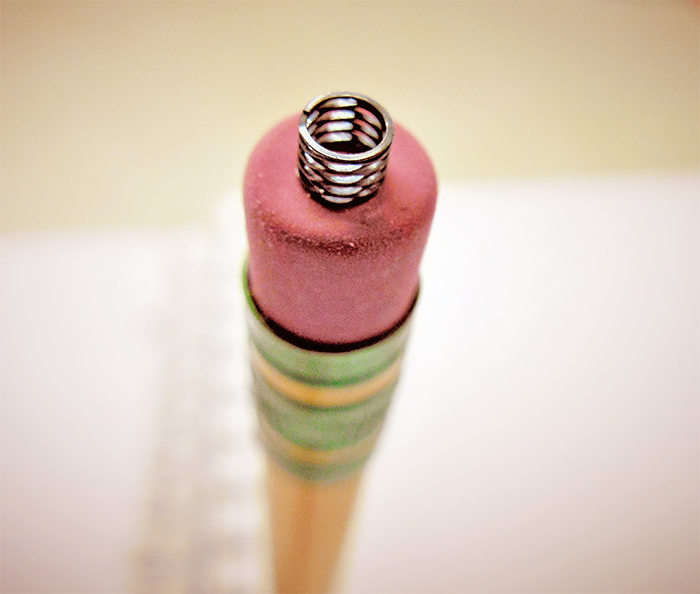 Spiral retaining rings, like the one shown, can be produced to a diameter of 6mm offering 360 degree contact with the groove no matter how small the application. 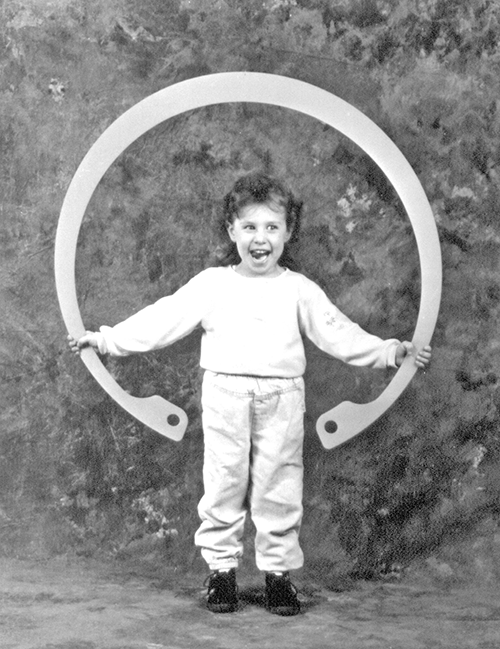 Note: We can also “Go Big” as the enclosed photo of a very young Amanda demonstrated in one of our earlier catalogs. She is holding a large, 1000mm (40 inch) retaining ring noting that we can make from 1mm to this size and everything in between. P.S. Today Amanda is working on her master’s degree in special education and looking forward to her upcoming wedding!